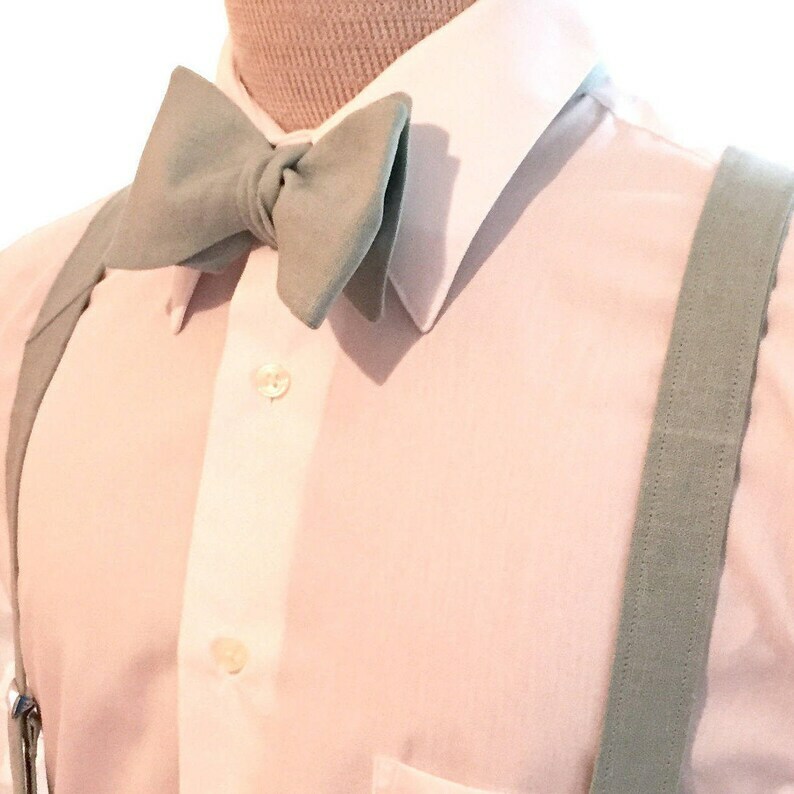 Select a size Short 5' - 5'9" Regular 5'9" - 6'2" Tall 6'1" - 6'5" X-Tall 6'4" - 6'9"
I make these linen suspenders to order from dusty shale linen fabric. It coordinates perfectly with J.Crew's Dusty Shale bridesmaids dresses as well as BHLDN's Sea Glass bridesmaids dresses. I apologize because the coloring is a bit off in the first few photos. They are fully adjustable: adjuster slides on the front & crossover on the back. The four clips that attach to the pants are stainless steel with plastic inserts - easy to use but very durable. I meticulously top stitch the straps and stand by my work - the quality is unmatched. 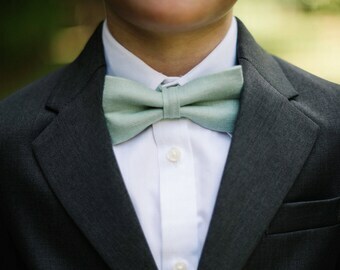 They look great standing alone or when paired with one of the bow ties in my shop. The sizing on these is super flexible. I recommend choosing the size category that your height falls into but there's quite a bit of overlap since the suspenders are fully adjustable. Most guys get either the regular or tall and I've never had any issues with fit. So beautiful and such a lovely color. Bought it for my fiancé for our beach wedding ceremony.